Harbourside Place, developed by Allied Capital and Development of South Florida, is hosting events for all ages throughout the month of December to celebrate the waterfront area’s grand opening and welcome Jupiter’s community into the New Downtown. Thursday, December 4, 6-9 pm – The Grand Kickoff starts the month-long celebration with performances every 15 minutes by local groups including Jupiter Elementary, Jerry Thomas, Jupiter Middle, Independence Middle, ArtStage, Keep Flippin’ Gymnastics and Maltz Jupiter Theater. The Jupiter High School Marching Band will perform with a spectacular firework display backdrop at 8:45 pm. Friday, December 5, 6-9 pm – Country for the Holidays: a fireworks display at 6 pm and free concert with Rodney Atkins, Eric Paslay, Josh Thompson and Brooke Eden. Saturday, December 6, 5-9 pm – Get the best seat for the Annual Palm Beach Holiday Boat Parade and stay after for a firework show between 8 and 9 pm. Enjoy live music, strolling entertainers, snow flurries and more. Guests are encouraged to bring a new, unwrapped gift for Toys for Tots. Saturday, December 13, 1-4 pm – A Winterfest family-fun afternoon. Guests can meet Santa Claus and other characters, enjoy snow flurries, bounce houses, balloon artists, face painting and more. Families are encouraged to bring a toy for Little Smiles. Wednesday, December 31, 8 pm-12:30 am – Join the KVJ Show from 97.9 WRMF for a New Year’s Eve celebration with live entertainment and a grand finale fireworks show. “The community has really celebrated and supported Harbourside Place from the start so we wanted to repay them by planning live entertainment and other events over the holiday season where everyone can come and enjoy themselves with family and friends,” said Nicholas Mastroianni III. Free parking will be provided on-site in the garages for all events and additional off site parking is at Reynolds Plaza or First Methodist Church with free trolleys. 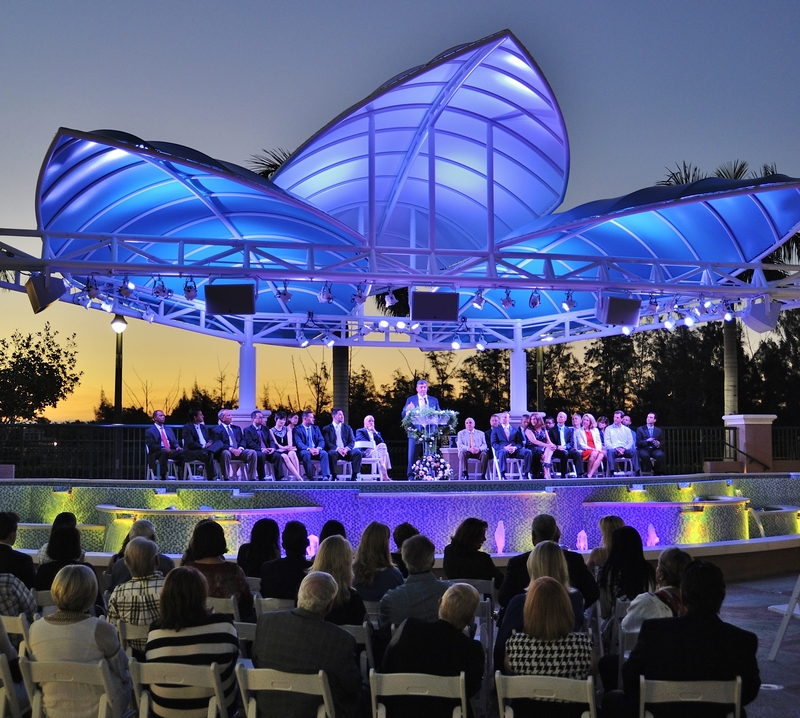 For more information on Harbourside Place and a full calendar of upcoming events, visit www.harboursideplace.com.